Hey That's My Fish!, Quick Games, New to Games? Paul: Would you like to get together and review Hey, That’s My Fish!? I am not incredulous, it’s just that the title of the game ends with an exclamation point and then I wanted to add a question mark because I am asking you, Brendan, a question. Brendan: What is your question? Paul: Why is your hood up? I am asking you this question to highlight that your hood is up because our readers, at home, cannot see how you have decided to array your attire. Brendan: My hood is up because it is cold. 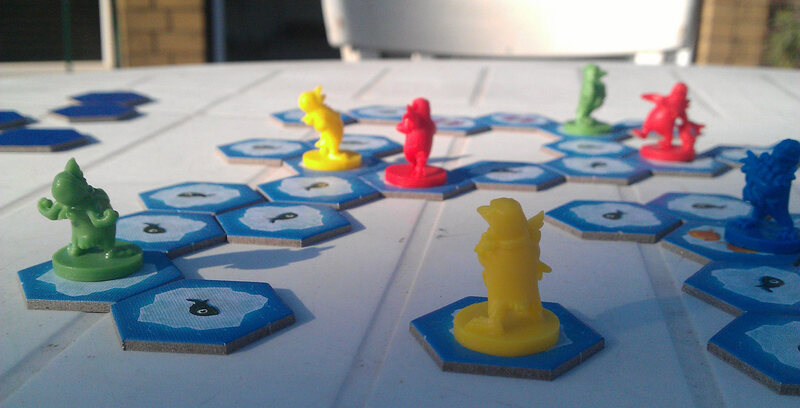 It is cold because we have been playing Hey, That’s My Fish, which is a game set on some melting ice. Melting, probably from global warming, but still cold. Brendan: Fish! Hey, That’s My Fish is a game for 2-4 penguins. 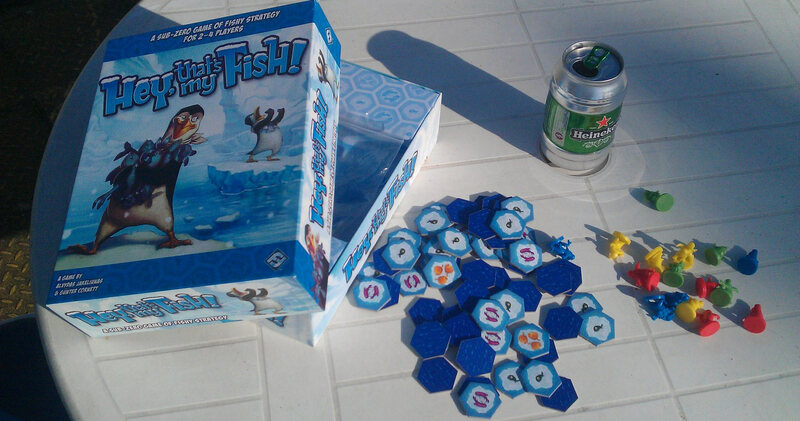 The aim is to get as many fish on a random hexagonal board before the board itself melts away, leaving you trapped on an isolated ice floe like a tiny, elderly inuit. Is that correct, Paul? Am I reviewing the game correctly? Paul: Actually… yes, and I think you’ve got the nugget of it right away. 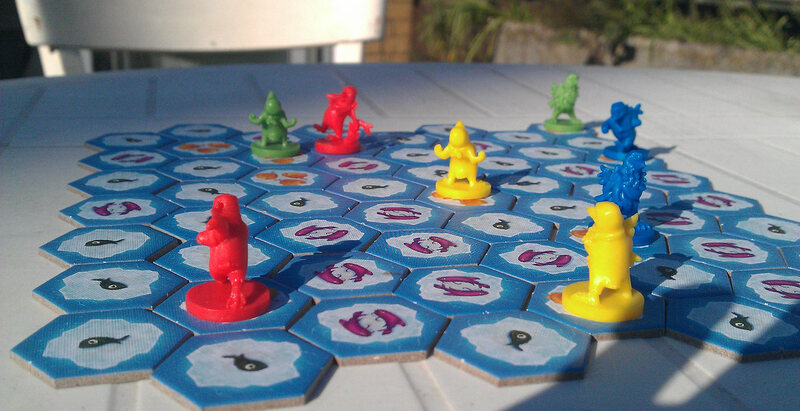 The board is all wee hexagonal tiles, each with one to three fish on them, and every player has some lovely little coloured penguins. They move these in straight lines, travelling as many tiles as they like, and pick up the tile they last stood on, claiming its fish as their own. And leaving a great, big, hex-shaped hole in the board. It’s not clear where the fish go. Presumably, you’re ramming them down the beaks of your penguin children, children that are not themselves depicted because, like all children, they are fundamentally a source of shame and must remain unseen. Brendan: What? Anyway, with luck, your penguins will go sliding around the board, hoovering up all the fish and leaving your competition stranded on small blocs with not-very-many fish. Once all the penguins are stuck and nobody can make any more moves, the game ends. You have probably left your foes isolated on a small island of cheap baitfish, where they will waddle uselessly from one end to the other collecting whatever scraps they can. But you should not feel bad, as the person with the most fish at the end of the game wins. And the other penguins were probably horrid Adélies. Paul: So, hold on… is that it? Is that the entire game immediately explained in a couple of paragraphs? I’m shocked. Even more shocked than I am by that link. Because, really, I know nothing about penguin mating. Brendan: Yes. Truly, it is a simple game. Paul: But then why did we just have such a good game of it? The first time I saw the box, I rolled my eyes, all cartoon animals and kid rules, but I’ve played it several times now and, actually, I’ve really enjoyed it. Have I… have I gone wrong? Brendan: You have not gone wrong, Paul. You were never right. Kids rules and cartoon animals are excellent. And the way this this game puts four people into such close quarters and forces them to constantly cut each other off is the essence of all competitive boardgaming. It is also deceptively thoughtful, abstract even. It isn’t childish. It’s inviting. Why do you hate children so? 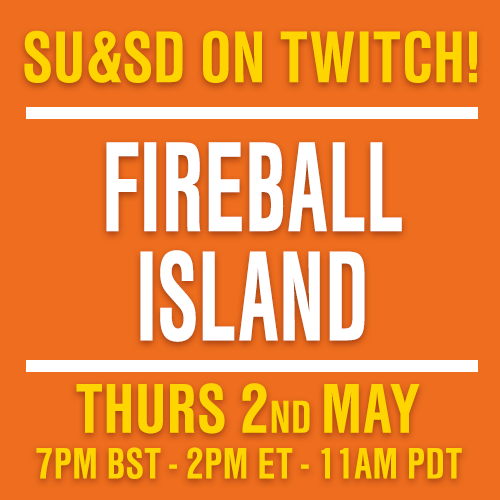 Paul: –like the unseen but ever-implied gaping beakholes of the penguin children that exist somewhere off-board in this game, children that press you to carefully consider every one of your turns. Paul: But you’re right. Every move in Hey, that’s my Fish matters so much because the playing area is so tight and from that first move you’re already punching holes in it, creating divides, creating ever-thinner lanes of travel that your penguins and everyone else’s must try to squeeze through. Every move limits everyone else’s future moves. And your own, too. Brendan: Quite so. Very often when we were playing, I was thinking to myself: “I could go for some of THOSE fish. But if I went for THESE fish, I could leave that Yellow penguin stranded.” It is kind of a spiteful game. But in a funny, flippant way. Paul: So what you’re saying is you were… strategising? A cartoon game about penguins had you strategising and thinking about territorial control and resource collection and chess-like positioning? Brendan: I came fourth, Paul. I am not good at boardgames. 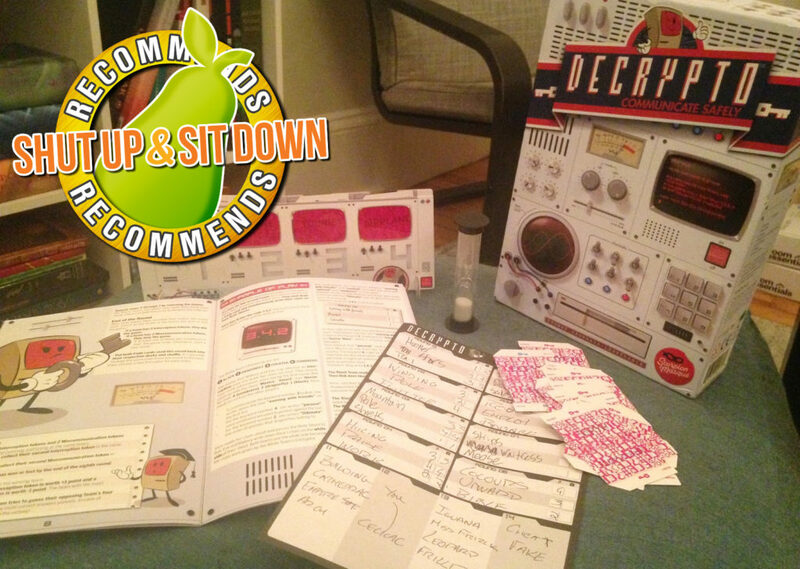 But yes, I was strategising in a very basic way. Paul: I see. So, really, your hood is raised in shame. Brendan: I am cold. That’s all. I am sorry that I lost so much. But that is partially down to Quinns’ frightening psychological warfare. I could tell, at one point, that he was near a sort of “peninsula” full of fish and made a go for it. But the instant he saw me doing that he moved his penguin one single tile space toward the fishpile. It was not immediately noticeable what he had done but that single tile made all the difference. I could see that if I went for the pile, then he would chop my path up in two or three moves and leave me paralysed. It was frustrating to be denied even the chance of some winnings but refreshing to be able to see it coming. To be able to look at a conflict from three steps away and say to myself: “No. No I am not going to win that battle.” For a ‘children’s’ game, it is very calculated. Don’t you think? Paul: Yes! 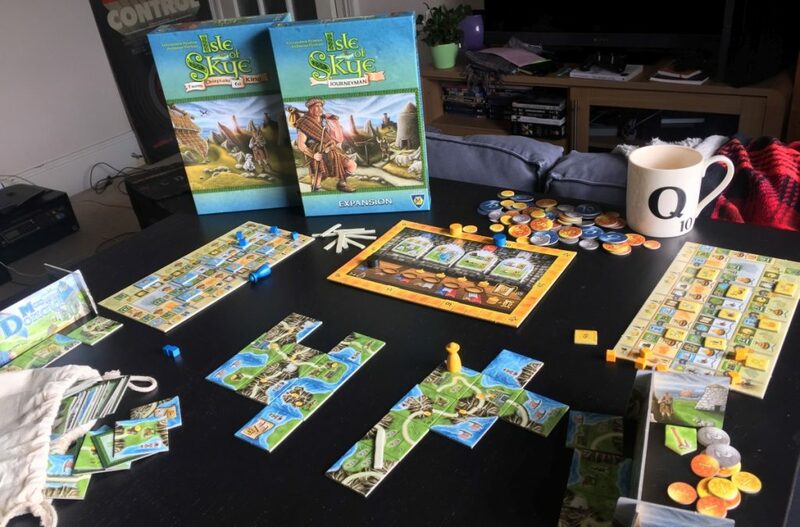 You’re just slicing up the board and condemning penguins to lives of loneliness or even isolating your own in the hope that the stock their little floe will float away with might be enough to tip the balance of the game. It’s… it’s actually horrid. Partly because it’s so quick. 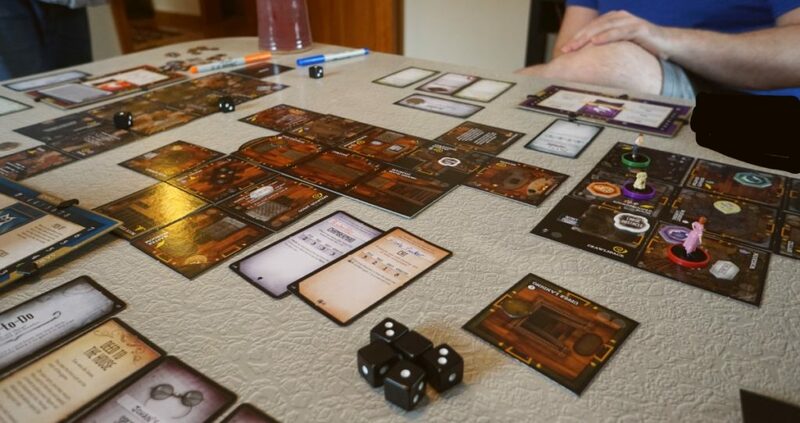 The first time I played this game, with Tiffany Ralph, she said it takes about as long to lay out all those hexes as it does to carve them up and scurry away with your dinner. Hey, That’s My Fish! is as brutal as it is simple, like a… a knife. A murderous little knife. Paul: We just… we can’t let anyone get their hands on this. It’s too dangerous. Especially not the children. Paul: No! What?! No! I certainly don’t have a secret cache of children somewhere that I’m not telling you about! Brendan: Wait, what? What’re you doing?! Paul: Slicing! You can’t catch me now! My part of the ice floe will float away and it’ll be all mine! All mine! Brendan: Paul, that’s the floor. You can’t cut up the floor. We paid a big deposit for this place. Paul: I have to feed them. Brendan: They’re… not human, are they?